For the residual control of subterranean termites. Termidor has two modes of action: contact and transfer. 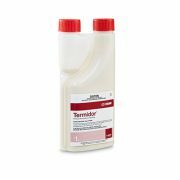 This ensures that Termidor will assist pest managers to create an effective barrier around building as well as manage the source of the termites – the termite nest. 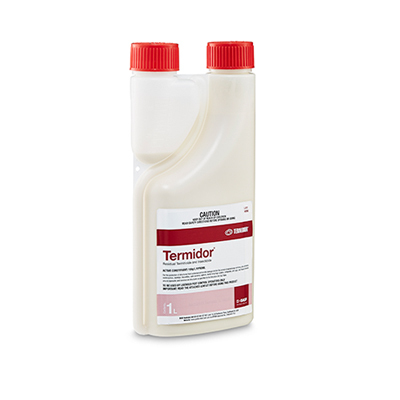 Termidor is user friendly as it has no odour and cannot be detected by termites. Also for the control of ants, domestic cockroaches earwigs, houseflies, web-spinning spiders, daddy long leg spiders, millipedes and house crickets. Please see directions for the Use Table.